If you enjoy the health benefits of green tea, then you will be amazed at the numerous reasons to enjoy green tea matcha by Living Qi™. Often people cannot handle the caffeine in regular green tea and they feel jittery after ingestion, but Living Qi matcha leaves you feeling totally relaxed and energized at the same time…no more caffeine jitters! What is matcha green tea? Click here. Sure, there is a time and place for coffee, but for many people, coffee makes them feel anxious, nervous and jittery. Many people have been overjoyed to finally break their addiction to coffee with matcha. With matcha green tea as a coffee substitute, you can avoid painful coffee withdrawal headaches. Matcha green tea is calming and increases your energy and focus while also relaxing you. In fact, one cup of Living Qi matcha can enhance your energy and elevate your mood for up to eight hours. Why substitute matcha green tea for coffee? Our matcha green tea customers report increased focus, increased alertness, a deeper sense of calm and well-being, and a heightened state of awareness after drinking our organic matcha. To learn why we only provide USDA certified organic matcha, check out this short article. We had our expert tea sommeliers blend high-quality organic Tencha tea leaves to give Living Qi matcha a rich creamy umami (sweet) flavor with hints of astringency and citrus and mint notes. You will find it delicious and feel safe knowing it has been verified in a third party lab to be clean and pure. To learn more about how to taste Matcha and what Matcha should taste like, go here. In addition to the energizing and calming affects of matcha, the health benefits of matcha are simply incredible. 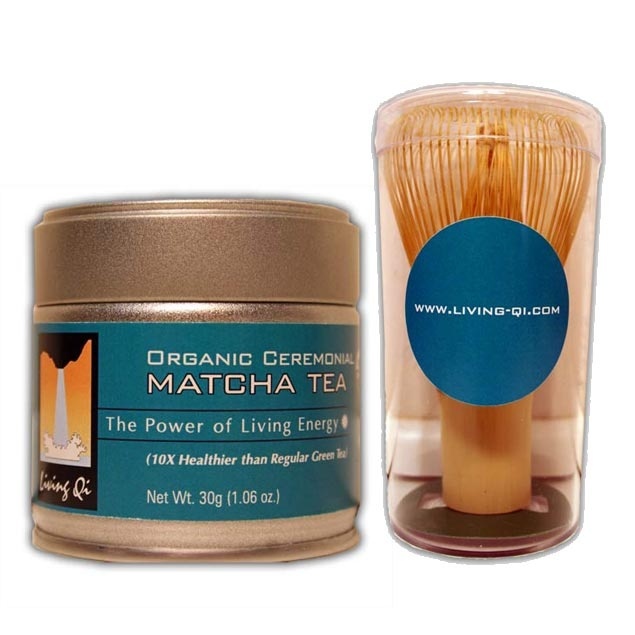 One cup of our organic Living Qi™matcha has more nutrition than ten cups of regular green tea. Our green matcha tea has more EGCG, more polyphenols, more antioxidants, more essential fatty acids and more catechins than any tea you can drink in a tea bag. To learn more about the amazing health benefits of matcha green tea, check out these articles on the Living Qi Blog. For more than 800 years, monks in Japan have not only perfected the art of the tea ceremony, but also the art and science of cultivating matcha tea. 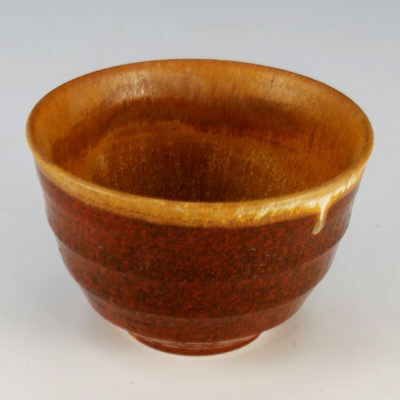 Monks would often use matcha to help keep them alert during their intensive meditation schedules. The fresh new tea buds are harvested in early spring after a few weeks of being grown in the shade. Shading the tea plants drives nutrients into the leaf and turns the tea leaves a bright, vivid green. These bright green tea leaves are then stone ground with granite into a fine powder making matcha tea. Matcha tea making is an 800 year old tradition in Japan. Over time the uses of matcha have evolved. Matcha green tea is now used in delicious recipes, in delicacies and in pastries, to make matcha ice cream and in delicious drinks, both hot and cold. You can check out our scrumptious Matcha recipes here. Please enjoy the amazing health benefits of Living Qi matcha while experimenting with some of the delicious recipes from our matcha recipes page. From matcha lemonade, to a matcha latte, there are plenty of ways to keep matcha new and exciting. Why Drink Living Qi Matcha? Why Do Monks Meditate with Matcha?